Places to visit in North Dakota! 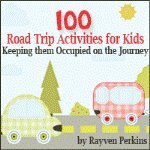 Are you planning a road trip with kids? Check out recommendations on the best family friendly tourist attractions in North Dakota, and share your family's favorites. The best places to visit in North Dakota span from the wild outdoors to cultural indoor adventures. You can visit a variety of museums or tour through Native American settlements to supplement history lessons for the kids. There are some actual battlefields where you can give the little ones a real life look at the battles reported in the textbooks. If you have the time to stay awhile, you might want to camp out and get some fresh air in one of the North Dakota national and state parks. These parks are some of the best places to visit in North Dakota because they display the amazing beauty of the terrain. There are trails for hiking or walking with the family and fields for picnics and peaceful evenings under the stars. 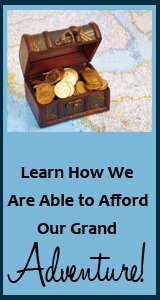 If you feel like putting your luck to the test, you can also check out Spirit Lake Casino. This is a massive casino and resort where you can spend an evening or a week. Smaller museums and shopping opportunities can be found throughout the state for family fun. Whenever I visit North Dakota there is always one spot I always make time for. That is visiting the Cottonwood Campground at Theodore Roosevelt National Park. While I understand if you may only have time to make a brief visit, the National Park will be a good experience, I suggest making the time to camp there. This is because, in my opinion the best attraction at park comes out at night, the stars. The air is so clean and there is such a lack of light pollution that it is easy for people of all ages to pick out shooting stars within a half hour of stargazing. If you bring a good pair of binoculars you can even see some of the bigger satellites as they go whizzing by, as well as at least three of the moons of Jupiter and rings of Saturn. The stars are not the only reason to stay up though. The campground is located so close to the Little Missouri that some bugs come out around dusk. When that happens always remember to look up because that is when the bats come out as well. My whole family spent at least an hour sitting on the picnic bench staring as those little flying creatures went dipping and swooping through the air. Camping in the park brings another benefit. You are able to start exploring the park earlier in the day, and I promise it is worth rolling out of bed earlier then you normal do. This is because first thing in the morning is the best time to see wildlife. My personal favorites are the wild horses, which are easiest to spot when they come down to the river to drink just after dawn. Morning is also a good time to spot some of the other skittish mammals, such as the whitetail deer. I have been to the Cottonwood Camp Ground many times over the years, and every visit has been a pleasant adventure. And I know, whether you make the trip to Theodore Roosevelt National Park for the stars, the wildlife viewing, or the peace and quiet from being immersed in nature, you will never forget the night you spent at this wonderful little spot. 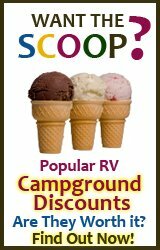 Here's the website for more info: http://www.nps.gov/thro/planyourvisit/cottonwood-campground.htm. What would you rank as the best places to visit in North Dakota? Share your experiences, good and bad, with other families right here. Give your experiences a rating between one to five so others can easily determine to follow your footprints or head in a different direction. What's Your Favorite Family-Friendly Tourist Attraction in North Dakota? Do you have a great experience to share? Tell us what places we should visit in North Dakota!